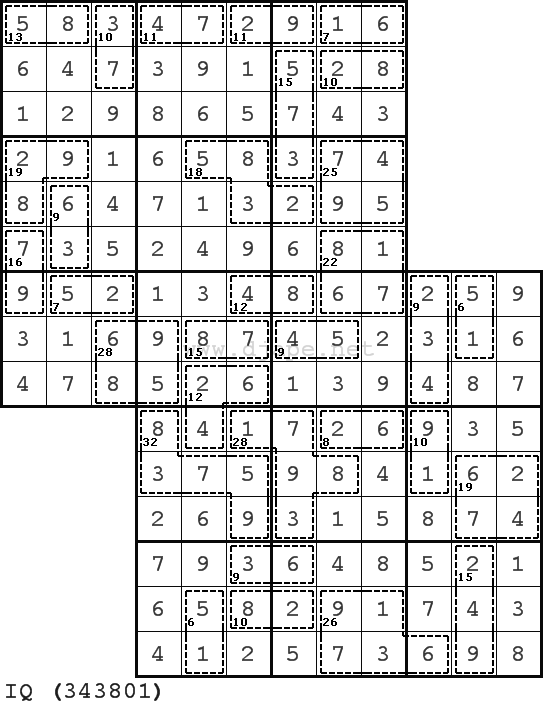 Here is very difficult Killer Sudoku puzzle. There are two Zero Killer Sudoku puzzles overlapping each other in the TwoDoku format. The difficulty is rated IQ. What do you think? This entry was posted in Free sample puzzles, Killer Sudoku and tagged IQ, killer, killer sudoku, twodoku, ZERO, Zero Killer, Zero Killer Sudoku. Bookmark the permalink. Post a comment or leave a trackback: Trackback URL. Should this one have been rated insane?